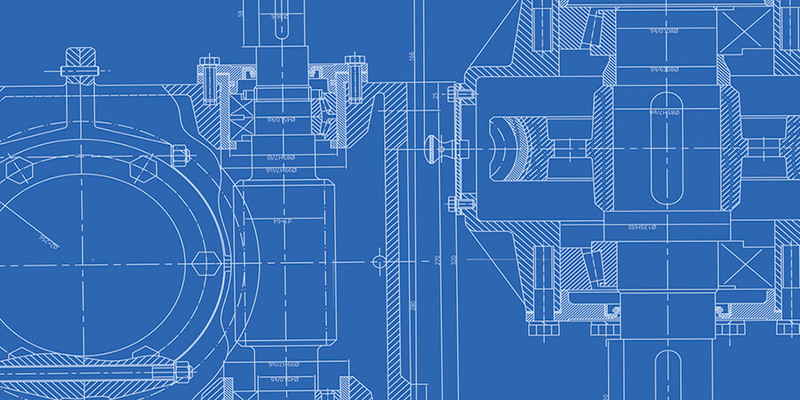 What is New Product Blueprinting? | Blueprints for Growth What is New Product Blueprinting? The AIM Institute > Insights > Blog > New Product Blueprinting Process > What is New Product Blueprinting? Let’s say you now have a mental picture of your dream home. Are you ﬁnished? Hardly. You must communicate that picture to your builder, and that requires a detailed plan–a blueprint. Scribbled notes and verbal descriptions can’t transfer nearly enough information to ensure that your foresight becomes your home. 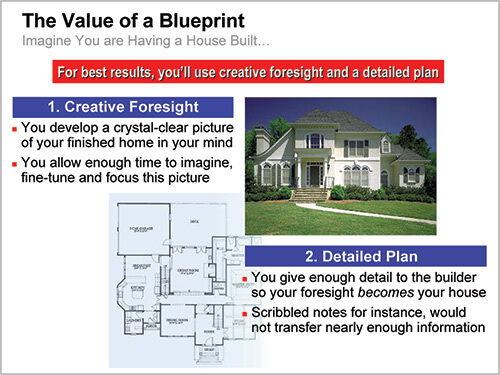 With New Product Blueprinting, your customers are the homeowners and you are the architect. You patiently and expertly work with them to create a mental picture of something that will excite them. Then you carefully reduce this creative foresight to a detailed plan that the builder can execute. This is important because, as it turns out, you also happen to be the builder. Here’s the interesting part: Unlike a homeowner that signs a contract with the builder, your customers can wait until your product is ﬁnished and reject it if they don’t like it! You would think this would make B2B producers very nervous… so nervous they would become absolutely certain of what their customers wanted before “breaking ground.” You would think. In fact, many use internal meetings to decide what their customers want. Others develop new technology and push it towards their customers. Still others just keep building the same thing over and over, making minor tweaks from time to time. When pressed about this strange state of affairs, some producers say they don’t really know how to uncover what their customers want. That’s a fair assessment and one that can be remedied. Others say customers don’t know–and therefore can’t tell them–what they want. I believe that’s a wrong assessment we should address. It is true that consumer-goods buyers often don’t know what they want: They’ll just recognize it when they see it. But buyers of B2B goods nearly always know what your product should do. They may not be able to tell you how your product should do it, but that’s your job, isn’t it? When a B2B buyer considers how your product impacts his world, he can bring to bear his formal education, years of job experience, hours of focused attention and personal motivation to succeed in his career. The B2B buyer doesn’t bring these impressive resources to bear because the supplier doesn’t ask him to. New Product Blueprinting deeply respects your customers’ knowledge and requires new skills on your part to access this knowledge. And it occurs before you begin actual product development, thereby saving you from squandering enormous resources. 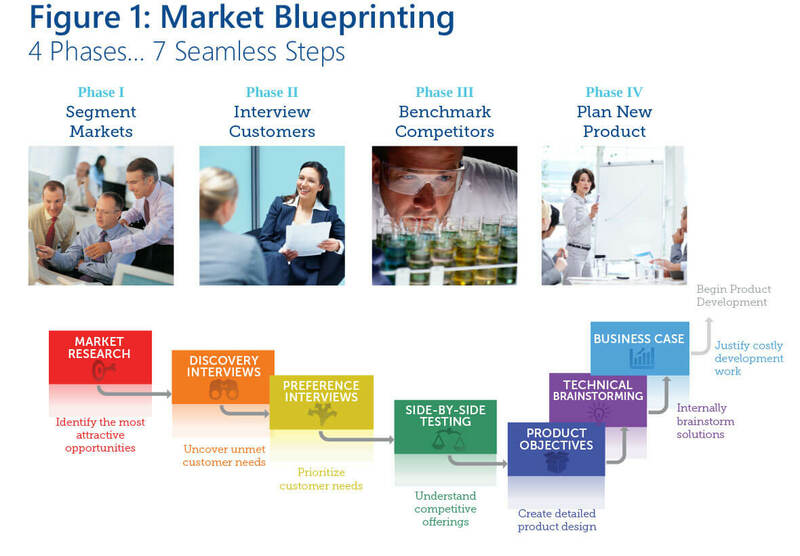 When a team uses New Product Blueprinting, it actually moves through four integrated phases (Figure 1) covering seven steps. Does seven steps seem like a lot?… Consider two points. First, you only apply this process for major new products. A market-facing team might have 1-3 major projects underway at any point… perhaps ﬁnishing the business case on one, interviewing for another, and starting market research for a third. But the mindset trickles down to all new product development. So even for small projects, people will question whether customer needs have been fully explored, competitive positions understood, etc. Second, 30 years of research in new product development points to one headline: “We’re doing poor up-front work.” But rather than add resources to do this, shift resources up and out: “Up” by spending less time in product development and more in product design. “Out” by talking less to ourselves and more with customers. Step 1: Market Research Beautiful product development in an ugly market segment makes no sense… so sift your potential opportunities early and cheaply. You’ll do this with internet-based market research, combined with simple but effective screening tools. Step 2: Discovery Interviews Two-person technical-commercial teams interview customers in incredible depth, using divergent thinking techniques. Your goal is to enter the customer’s world and uncover unspoken and unimagined outcomes that will excite him. Step 3: Preference Interviews In a second set of interviews, you quantitatively prioritize customer outcomes that are most important and least satisﬁed. You drive out your internal bias with hard data… and kill your project if the customer isn’t eager for change. Step 4: Side-by-Side Testing You compare your best off-the-shelf products with your competitors’ best. This baseline helps you attack their weak spots, avoid blind-siding later, and optimize pricing… only possible when you understand all your customers’ alternatives. Step 5: Product Objectives You now have a wealth of “outside-in” data from interviews and competitive testing. Your project team uses this data to create a blockbuster product design in which speciﬁc customer outcomes are targeted and the market reaction predicted. Step 6: Technical Brainstorming You’ve got the “what” (your product design) but must now consider the “how”… preliminary technical paths to pursue. This internal brainstorming includes technical solutions that come from outside as well as inside your company. Step 7: Business Case Would a venture capitalist fund your project? Twelve points must be addressed in every Blueprinting project. This drives out assumptions, bias, omission and wishful thinking before you begin heavy spending in the product development stage. While all seven steps are important, the centerpiece of New Product Blueprinting is the customer interview. When you interview your customers in a manner expressly designed for intelligent, interested B2B buyers, you come across as caring and competent. That not only opens the door to great new product designs, but marks you as a supplier with whom they’ll want to do business. AIM, Inc. works with major B2B producers who see this front-end work as a competitive advantage to be mastered… not a job to be outsourced. We use a proven implementation plan that combines a skills-intensive workshop with follow-up coaching and tracking. To learn more, check out the Blueprinting Overview, or contact us for a free consultation.